Coleman Taylor focuses his practice on tax planning for individuals and businesses, estate planning, real estate, closely-held entity structures and transfers, agricultural law, and trust and estate administration. Coleman also represents clients in trust, estate, and business controversies and litigation, disputes involving real estate, and the purchase or sale of closely held small businesses. 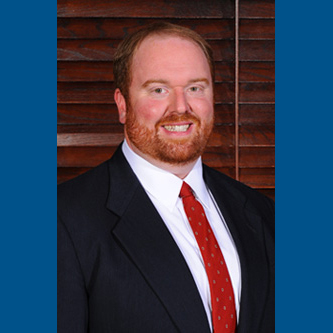 In addition to his focused practice areas, Coleman Taylor also assists clients with a variety of related matters, including farm succession planning, small business succession planning, life insurance planning, asset protection, multi-generational trusts, buy-sell agreements, partnership matters, and premarital agreements. Drafting wills, revocable trusts, multi-generation (heritage) gifting trusts, and irrevocable trusts. Designing and implementing estate tax planning techniques to facilitate generational wealth transfer. Designing and implementing income tax planning techniques for small business owners. Drafting LLC operating agreements, partnership agreements, corporate subchapter “S” election matters, and professional corporations and partnerships. Coordinating the transfer, purchase, or sale of closely-held business interests. Coordinating real estate transfers and financing. Counsel for individuals and businesses on state and local tax matters. Counsel for local, national, and international landowners in Arkansas for agricultural and commercial real estate matters.